It was cold and foggy on the day of the club picnic. What better way to get warm than to play touch football. That day, nearly 40 years ago, was the first time (and the only time ) I've ever played the game. We didn't even play it in girls PE in high school, which now when I look back, I wonder why. We had field hockey (loved those sticks), archery, swimming (my favorite), soccer (hated all that running), folk dancing, tumbling (aw, gee, again! ), bowling, and an assortment of other sports, but no touch football. Not even flag football. Again, I wonder why since football was a big deal in my high school. What is this five year plan? And, how is that related to the photos of our hair? I'm glad you asked. This tale starts in 2010 when the Husband and I decided to go bald. The Husband also chose to shave off his mustache and beard. You can read that story here, if you're interested. In 2011, we shaved off our hair again. In 2012, we wondered how long our hair would get after two years. When 2013 came along, we got used to our messy look and thought about trimming it all once the temperatures got very hot. They never did. "Husband, what is my X-factor?" I asked, standing behind the Husband, who was at the kitchen sink. He was carefully prepping the dishes to wash. "X-factor?" the Husband asked. "What do you mean?" "I dunno," I said, trying to balance on one foot. "What is X-factor?" "It was a TV show** about aliens." "Cool! I've got my "X" post." "The letter X. You'll be featured tomorrow on the blog. Thank you very much." * Later, when I returned from taking out the garbage, the Husband said, "X-Files was the alien show. X Factor was a talent show." "Even better," I said, though I don't know why. 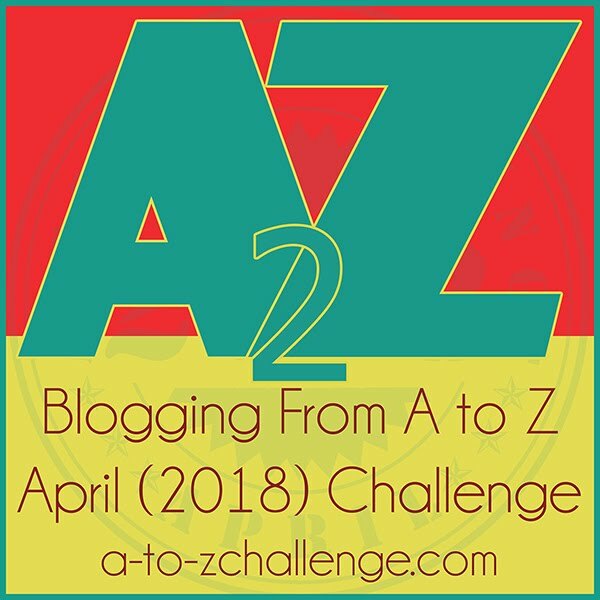 I'm participating in the Blogging from A to Z Challenge this month. To check out other participants, click here. See you tomorrow. "Okay," he said. Here, dear readers, you should note that the Husband does not bet unless he's 100 percent sure he's right. "And, if I lose. . .," I said. "What do you want me to do?" "Ten jumping jacks," he answered. Dear readers, you should also note that I do not do jumping jacks. "Fine. If I lose, I do 10 jumping jacks. But, I'm not losing." Verily, verily, I say unto her, "I shall leave that spider web alone." It's outdoors. It is in no one's way. It does no one harm. The Mama thinks otherwise about spider webs. And, if she had seen this one, she would've given me grief. Verily, she would have. The last of the remaining orchard in our area was pulled out last month. That's why we've been seeing and hearing a lot more crows in the neighborhood. Also, doves, pigeons, and other birds. Squirrels, too. Fortunately, no rats or snakes. I hope all the creatures that once lived in the orchard have found good places to call home. FYI: The watermark on the photo refers to the other blog I write. I admit it. I've watched a lot of TV in my life, ever since the Mickey Mouse Club in the 1950s. But, not enough to call myself a tvholic. Oh, sure there are days or nights when I sit in front of the TV and jump from channel to channel during commercials. That's so I don't think about stuff, including writing projects. These days, I usually fall asleep after an hour of TV, if even that, including on programs that I like. For instance, I rarely make it through Elementary, the show about Holmes and Watson in modern day New York. It could be a genetic trait. The Mama falls asleep in front of the TV after dinner. Molly the Cat snuggles alongside her and they both snore in front of the TV. Zzzzzzzzzzzzzzzz. When I was a youth—did I really write that?—the battle cry was Seize the Day! Today it's more like, uh, seize the moment. In just a snap of a moment, I might finally do a load of laundry. . . vacuum the living room. . . make that darn appointment with the doctor. . . re-order supplements. . . read a chapter. . . prune the lemon tree. . . sew the Christmas gift for the Husband. . . draft the working outline for a book idea. . . or. . . .
You could say I procrastinate. A lot. At least, I make no excuses. Walden Pond taught me that. So, did the Daddy. I realize and accept the consequences for every action that I do. Or don't. Though I wonder if that is an excuse in itself. If you were physically separated from your significant other, for whatever reason, would you still want to get back with him or her after a year? Five years? Thirty? About a month after the Only and Older Bionic Brother was born, the Daddy, a naturalized U.S. citizen, returned to the United States. He realized that there would be more and better opportunities for his children in America than in the Philippines. This was in the late 1940s. He worked hard and within a year, he made enough money to book ship passage for the Mama and their son. The Mama did not want to leave her home and family. 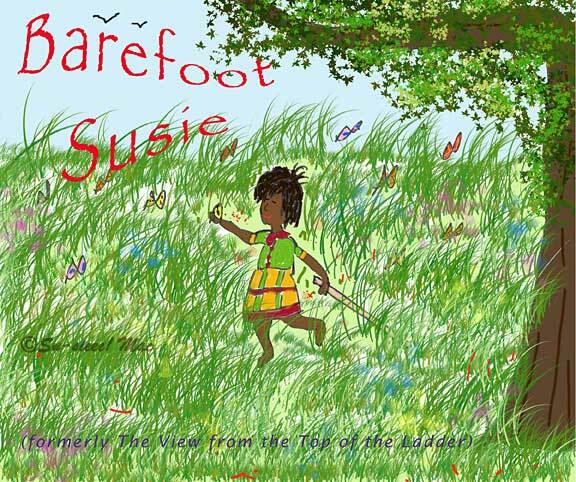 The Mama's mother told her that once she married, her life was with her husband's. She, the Mama, no longer belonged to the Grandmother. Thirteen months after the Daddy left, he and the Mama were reunited in their new home in California. "Charlie, tell me the story, again, about that day we put away the benches at Sunnyslope School." "Remember how we used to move the benches back to the side of the building after we ate lunch in fourth grade. Maybe it was fifth grade. There were only a few guys who could carry a bench all the way by themselves. I felt so good that first day I carried one by myself. Then I turned around and I saw you carrying two benches, one under each arm. I was impressed." I don't remember any of it. If there was an exaggeration on Charlie's part, it would be that I was carrying the benches rather than dragging them. Charlie Quaid and I had known each other since fourth grade. He was very cute in his blue cub scout uniform. He had the sweetest smile and, when I look back, the kindest regard for people, which perhaps he didn't know he had. That, I think, contributed to why he was well-liked by both sexes throughout his life. As the Daddy started the car, the Mama pulled an orange from the paper bag. She dug into the orange with her thumbnail, pulled away a bit of the peel, and handed it to her teenage son in the back seat. The Daddy eased onto the two-lane highway when the Mama took out another orange. This one she peeled completely, then gave the juicy fruit to her seven-year old daughter who peeked over the front seat. In her mind, the Mama already forgave the children their mess. The Mama reached for a third orange. The Daddy kept his eye on the road, maintaining a safe distance from the car in front of him. The Mama slowly peeled the orange, glancing now and then at the passing scenery. The teenager swallowed his last slice of orange and burped. His sister giggled. One of my favorite places to go to is the ocean. Notice I didn't say beach. I like the beach, but I don't necessarily have to be walking or laying on one. I'm happy to be standing on top of a cliff overlooking the ocean. And, when I can swim in ocean that's warm as bath water, whoooo-weeee! That to me is heaven. All my life, I have lived within a 40-minute drive away from the Pacific Ocean. At one time, I was just 10 blocks away when I was living in San Francisco. Oh, and how can I forget the apartment where the ocean was just a short walk down the hill. Although, the Husband will say that was a bay and not the ocean. But, a bay is part of an ocean, right? I had to search deep into my computer files to find a photo for today's post. You know what that means? The Mama would say, "Mapan tayo idiay baybay!" Let's go to the ocean! What's one of your favorite places to go to? The Mama and the Daddy asked six of their friends to be the ninongs and ninangs, or godparents, when I was baptized. The Roman Catholic Church recognizes only two baptismal sponsors, and one ninang (female godparent) and one ninong (male godparent) did sign on the formal lines of the baptismal document a long time ago. The other four signed on the right hand top of the page. I have a feeling the godparents signed it all at once at the church, which makes me wonder if the priest panicked that the church rules were not being followed. The parents taught me that the spouses of the godparents were also ninangs and ninongs, and I was to address them as such. Altogether, I had 10 godparents. I have many memories of these elegant people. Here are a few of them. Ninang Deling taught me my numbers in Ilocano. She was quite patient with the four-year old me that bounced and danced around her as I repeated after her—maysa, dua, tallo, uppat, lima. . . The Mama, as some of you dear readers know, is in her nineties. The tiny, fragile, slow-stepping Mama is doing well, thank you very much for asking. She's as fit and magnificent as the flowers and vegetables that she grows. The only medication she takes is for her thyroid. I can only hope that I haven't screwed up the genes she gave me too awful much. This morning, I found a poem that I wrote about the Mama two years ago when she was rushed to the hospital. The Mama is amazing. The Sleeping MamaSlipped into her ER room. Hooked up to the IV, heart monitor, and oxygen. And, she tried, and kept trying, to stand up. "Walking pneumonia," the doctor said. Nearly 35 years ago, a college professor, who hailed from Australia, told me if it weren't for the awkwardness of my writing, I would've got a higher score on my paper. She forgave me for some of my usage and grammar because, according to her, "English is your second language." For once, I kept my mouth closed rather than enlighten her on how wrong she was. English is the only language I can read, write, speak, and understand fluently. Proficiently, too, except for the lapses in awkward writing and the proper use of grammar, word choice, and cliches. I'm especially good at forgetting articles (the, a, an, and so on) and getting prepositions mixed up, which, I think is because the Ilocano language has no articles and, as far as I can tell, one preposition. This is Molly the Kitty Cat. For short, we call her Molly the Cat. Prrrrrrrrrr. I've told many a tale about our sweet Missy Molly by Golly. If you'd like to read one, please click here. Have a great weekend! Prrrrrrrrr. Because I was born 10 days after the cut-off date for first graders, I was sent home on the third day of school. Fine. The Mama had her hands full caring for Baby Sister and figuring out the new house that we had moved into about a week before school started. That meant I got to go with the Daddy for part of the day. Great! The Daddy irrigated the rows upon rows of crops on the valley floor. During his morning break, the Daddy came home to fetch me. I'd get in the car with my Golden Books, coloring books, and crayons and down the hill we would go. While the Daddy worked, I entertained myself with my books and when that became tiring, I'd wander and explore, but never too far from the car and always where the Daddy could see me. We'd go home for lunch and sometimes I'd get to go back with the Daddy. Itty-bitty bananas are growing in our backyard. It's quite amazing. Don't let that photo fool you. I took it close up. They are truly very small bananas. Bananas have grown before, but normally they sprout at the end of summer, then before you know it, the weather is cool, and so much for the fruit. This year though, ooh la la, we may be eating bananas from our trees. The Husband and I stood in line at the big-box home improvement store. As we waited our turn, I watched the busy movement around us. All the lines were long, a given for a Saturday, I suppose. Men and women pushed their carts forward in line, all heaped with lumber, sacks of soil, cans of paint, plumbing fixtures, and other large and bulky items for their DIY projects. Finally, it was our turn. The Husband placed his items on the counter—a tiny light bulb and two drawer knobs. The transaction was quick. As the cashier handed a tiny bag to the Husband, he said, "Enjoy your project." The Husband still cracks up when he recalls that moment. It started happening last year. Well, I noticed it last year. A wonderful phenomenon that sometimes happens at intersections where there are no traffic lights or stop signs. The Husband and I stand at a corner, waiting to safely cross the street. We are in no hurry, usually. So, if there are several cars about to parade in front of us, no big deal. But, then, unexpectedly, a driver stops for us. We walk as quickly as we can across the street, waving our thanks to the driver. The first few times this occurred, I was amazed that there were still kind drivers in the world. One day it occurred twice—drivers stopping their car to let us go by. The first time was in a parking lot, the second at a street intersection. As Yul Brynner in The King and I sang, "But is a puzzlement." That's how I feel when I pedal my clunky bright pink bicycle. Being short, I've got a lot of power in my stubby legs, so says the tall Husband, who sometimes huffs and puffs after me. "That's okay," I tell him. "I can't keep up with you when we walk. Since December 31, 2013, I've pedaled nearly 320 miles on my pretty cruiser. I'm rather proud about that. Several days a week, I take off before breakfast and pedal up and down and through the flat and hilly neighborhoods or trace a perimeter around town. Because I'm alone, I generally follow the streets and roads. Now and then I forge quickly across a field or ford the dry riverbed. The Mama is almost used to me going out on my own early in the morning. Just when I think it's not a big deal for her that I'm out roaming alone, she'll say something like, "Do you go far away?" "What takes you so long?" or "Aren't you afraid to ride by yourself?" Lately I've been hearing this phrase a lot—the elephant in the room. For example, a character says, "We can't ignore the elephant in the room anymore." That said, I shall address the elephant that has been showing itself the past few days on my blog. The drawings. Rather, the doodles.Those are mine, you betcha! Very rough and kid-like. You'd think I'd be embarrassed to show them. Nope. This elephant -- my doodles -- is just another something new for me to attempt. Ever since my first grade teacher told me that my cows needed to stand on terra firma, I have been insecure about drawing, painting, sketching, and anything to do with art. Not anymore. The elephant in the room is now s-i-x-t-y and can do whatever she darn well pleases. The morning the First Husband died, I had thought about doughnuts. Frank was 21 days into hospice care, which we elected to do at home. On that 21st day, I woke up feeling strangely relaxed. Unlike the other 20 days, I wanted to sleep a bit longer. Thump. Frank lightly tapped me on my head. Two times. I felt heartened. He had not been able to move any part of himself for days. I opened my eyes. He looked at me intensely and clearly. I smiled. He hadn't been this alert since the first few days of Hospice. "Okay, Frank, since you insist, I'm getting up," I said. I opened the blinds to the living room where we had been sleeping on the sofa bed for the last four months. "It's a beautiful day, Frank." I want to learn to play the cello. So I say right now. In the past year, I have changed from wanting to play the bass guitar to the bass, accordion, trombone, drums, and violin. And, now it is the cello. The Husband says settle on one already. Easy for him to say. He can play the trombone. He can read music. He can sing on key. Me? I can read the C-scale, specifically the first five notes C-D-E-F-G. The first time I sang along with the Husband during our courting days, more than 18 years ago, he told me I was off-key. After another song or two, he said, "You're tone deaf." Huh? What? That was news to me and I'd been singing 40 years by then. But, it did suddenly make sense why the elementary school chorus teacher didn't let me join the group and I couldn't for the life of me tune my guitar when I was an angsty teenager. Names have been changed because I just don't remember them anymore. "Need any help, Bea," a grey-haired woman said heartily, from the doorway of the Friends of the Library Bookstore. "Laurie, good to see you, darling," said the elderly Bea, turning from the bookshelves. "You're not scheduled for today." "I know," Laurie said, walking into the shop. "I had to come down town to pay bills and return books. Since I had to put on a bra, I thought I'd stop by and do a couple of hours if you could use me." Both women laughed. I laughed, too, from the side of the room. Yup. I could hardly wait to get home and take my bra off. "Sometimes it's a good idea to teach A, B, D, C rather than the usual A, B, C, D."
That's what I said at a job interview for a youth counselor position in the late 1970s. I cannot recall what the interviewers had asked me, nor can I remember why I chose to give a "thinking out of the box" response. This was my second interview for the position so perhaps I tried to sabotage myself. I was very good about things like that back then. I did not get the job. No surprise there. But, I figured it was more so because I didn't have the desired skill of being bilingual in Spanish. A month later, the group offered me a temporary position as one of the eligibility officers for its summer youth employment program. That job turned out to be more compatible with my personality.